Jermaine Dupri, left, and Ludacris perform onstage at the Bud Light Super Bowl Music Fest at the State Farm Arena on Thursday, Jan. 31, 2019, in Atlanta. 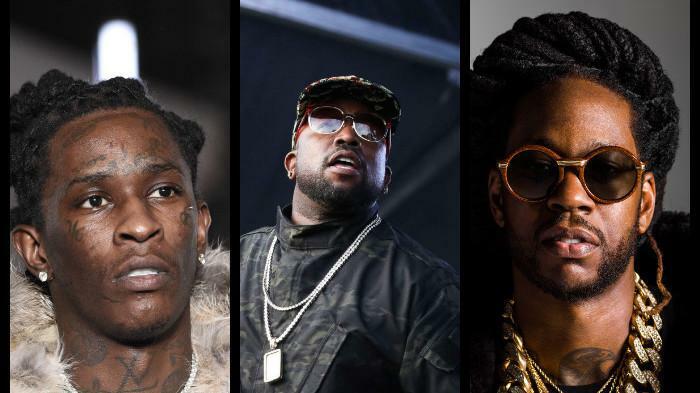 Wicker's recent article for Vice chronicles how Atlanta's hip-hop notoriety got a big boost from its club scene. She joined On Second Thought to share this piece of Atlanta's music history. I think we tend to have some revisionist history when we look back on the '90s when it comes to Atlanta music, because we did we have So So Def and LaFace [record labels] which were producing [acts like] Outkast. But Atlanta really had to fight to prove that it was a hip-hop city, I think originally. For much of the ‘90s it was still a lot of East Coast and West Coast [music] and music from other cities: Miami, Memphis, [and] other Southern cities that were really penetrating the club scene, Freaknik, [and] all of the nightlife here in Atlanta. Well, that was the height of the East Coast West Coast saga. I was talking to DJ Nabs about it who said that we tend to look back and think that's when the tides turned; [that] the minute Andre 3000 said "the South got something to say" everybody listened up and Atlanta became the hip-hop mecca. But no, it still was a fight at that point and we still had to prove that we had something to say and that Atlanta was a city that should be listened to. Lil John is from here: he went to high school here, he grew up hosting parties here, and then went on to start deejaying reggae sets at clubs for students. Then he entered Club 559. He really was a patron of that club and he talks about making “Who You Wit” and sending it to DJ Greg Street. You know Lil John was in these clubs he knew what they were about, so he was really able to make that first song for the clubs because he was a part of the scene. I think that's why Jermaine Dupri eventually made him a part of So So Def because he knew that Lil John knew what was going on in those clubs. It's funny because if you go back and you look at media coverage at that time it wasn't very favorable. It was like the rowdy club; it was locals. It was a lot of traffic coming to that residential neighborhood, but the locals really looked at it as a hub: that was where they went after work to party and to let loose and to have fun. If you weren't from Atlanta, you didn’t understand that culture. So, it wasn't perceived that well, but for the locals it was everything. He wasn't from here, but he talks about how the club scene in Atlanta is really what drew him to the city when he was interviewing to move here. And he looked around and he saw that there wasn't house music, or things that transplants from up North were listening to, so he was able to create a set that really spoke to those transplants. So, it was really the best of both worlds. I went to DJ Nab's archival room and it is like a candy store. He has a [Club] 559 blazer and he recorded all of his sets. Now he has these archives that he's able to license out when MTV comes and does “Behind the Music,” and when all of these [shows] look at the history of Atlanta music they go to him because he has all of this on cassette. In the early 2000s Whitney and Bobby lived here. Diddy has long called Atlanta his second home. So, you know his group 112, he met them outside of club 112 and that's where they got their name from. I think the [stars] were very influential and a big part of Atlanta becoming what it ended up becoming. Now people know that Atlanta talent is kind of where it's at when it comes to Atlanta hip-hop, but I think they were some of their early people who realized that back in that time. This was really an ode to Atlanta partying. Still to this day, when we had the Super Bowl in January, I couldn't tell you how many times I heard this song. It is still the Atlanta anthem. I think for many reasons Atlanta became the hip-hop capital. It was a great place to party, but when you look at the reasons that we had such a vibrant nightlife, Freaknik, and all of those things in the ‘90s, it's because Atlanta was a black hub. We had the AUC and we had all of these people who were coming here, like Diddy, to party. And I think that mixed with the fact that L.A. Reid and LaFace came here, and So So Def was here, it just created a perfect storm for Atlanta to become what it is today. Clubs in general aren't what they used to be. We have bottle service; we have VIP sections. Back then, there was no VIP section and there was no bottle service. Celebrities, like Diddy, were just partying in the middle of the dance floor and that's just not the way it is now. I don't think [the club] has as big a role as it did back in the ‘90s and early 2000s. Everything is digital nowadays. You can become a hit star from an app like Tik Tok like we've seen with Lil Nas X right now. It's been a strange week. Tensions are high. 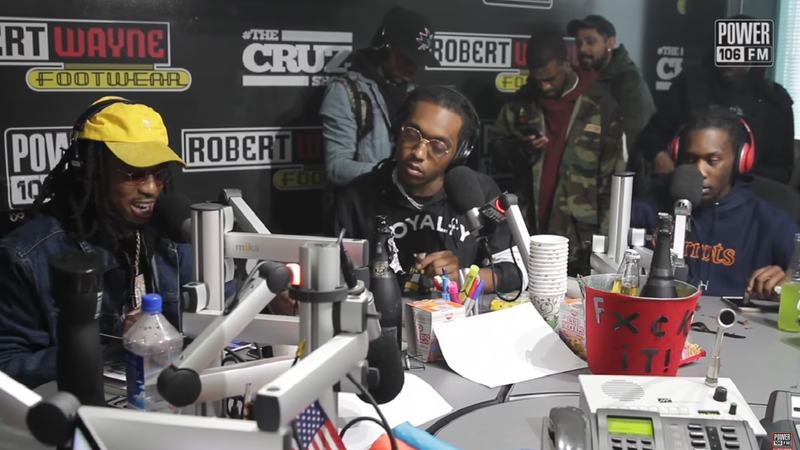 If you haven't yet, you should probably take a break to watch Migos rap a children's book.